Flex Films || Global Presence || Egypt - The Perfect Solution for Flexible Packaging Converters! We relentlessly work towards creating innovative & advanced packaging solutions backed by flawless service exceeding the expectations of our clients every time. We at Flex Films truly believe in nurturing and empowering people, sharing skills and imparting knowledge to enable them unleash their true potential translating into cumulative Operational Excellence enhancing value for all stakeholders. 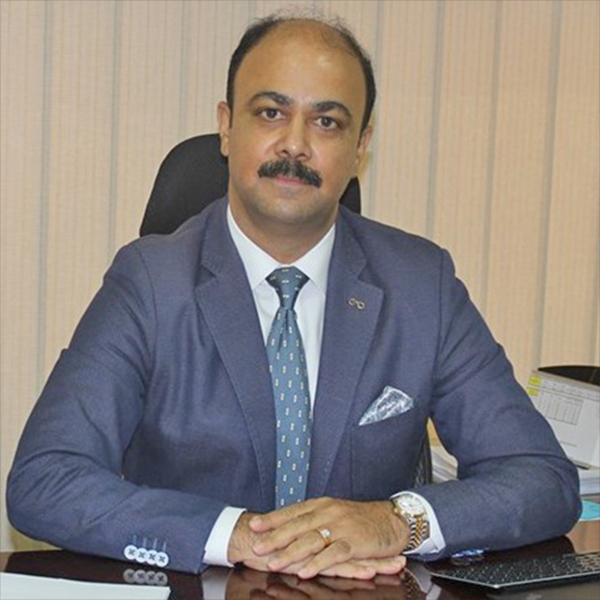 Mr. Sanjay Tiku holds a Professional Degree in Management Accounting, CMA from ICA in addition to being a Science Baccalaureate from University of Kashmir. Mr. Sanjay Tiku’s illustrious career spans over 27 years in the Flexible Packaging Industry with a proven track record in the fields of Operations, Marketing, Finance, People Management, and Business Planning & Strategy. Endowed with a strategic bent of mind, backed by operational excellence; having gained multi-domain experience and owing to his unrelenting efforts, Mr. Tiku was entrusted with the larger responsibility of spearheading Flex Middle East FZE – the Green Field Project of Uflex Limited i.e. the maiden overseas project of the Group in its endeavour to spread film manufacturing footprints outside India. Mr. Sanjay Tiku has delivered fruitful results for the organization during his overseas assignment spanning over 14 years now. Prior to his stint at Flex Films, Mr. Tiku has held various positions in Group Companies handling trade related matters like anti-dumping & anti-subsidy wherein he negotiated for several measures that helped the Company in sustaining Business in those countries. In his Current role, Mr. Tiku is Heading Flex P. Films (Egypt) S.A.E, Egypt. FLEX P. FILMS (EGYPT) S.A.E. 8.7 meter wide Biaxially Oriented Polypropylene (BOPP) Film Line with a capacity of 35,000 TPA commissioned in 2010 under Phase 1. 3.7 meter wide Cast Polypropylene (CPP) Film Line with a capacity of 12,000 TPA installed in 2011. 2.85 meter wide plasma enhanced State-of-the-Art high-barrier metallizer with a capacity of 18,000 TPA. 2,400 TPA of High Barrier Transparent Films. Address: Plot No. R2 in Engineering, Square (e2), Plot No.3 in, North Extensions Of Industrial Zones, 6th October City, Arab Republic of Egypt.